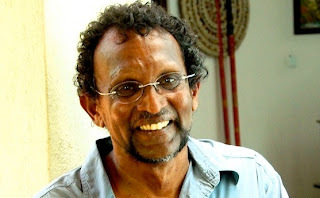 (June 26, 2012, London, Sri Lanka Guardian) Although traditionally Sri Lankan farming was organic, the tide turned with liberalised economy under JRJ in 1977 and Israel came in with a bounty of pesticides for Gamini Dissanayake's mega agricultural enterprise, the Mahaweli Project, to boost production. That the Israelis were the beneficiaries of the World bank funds allocated for the purpose to sell Sri Lanka arms and ammunition to counter insurgencies from North to South was hidden from the public. This is highlighted in Victor Ostrovsky's (former Mossad agent) book, By Way of Deception. Premadasa set up a presidential commission comprising seven members including a Supreme Court Judge at the expense of several lakhs of rupees per day to investigate eight pages related to Sri Lanka and that came to naught. The commission ran for several months. But that is another story. Organic farming started dying with entrepreneurs reaping quick harvest with the aid of agro-chemicals. Potato mudalalis sprang up Nuwara-eliya, mutating melons, mangoes, pine-apples, plantains and papayas as large as King-Kong flooded the market. Dr Ranil Senanayake, the nephew of the first Prime Minster, D.S.Senanayake, revived organic farming in a small way. He took a degraded tea estate in Mirahawatta, Bandarawella and transformed it into analog forestry, his concept of imitating natural forest. Popularly known as the snake man, his passion for traditional organic farming led him to transport his expertise in Africa and South America as a world renowned environmentalist to his homeland and the several acres now boast of sustainable organic farming along with forest cover. He stubbornly opposes chemicals in any form and he is a militant organic farmer except the amudaya. He is clad in T-shirts,jeans and sandals so he can straddle the hills with ease. This forest garden is called Neo-Synthesis Research Centre and many a foreign researcher come here on Sabbatical to learn our traditional organic farming methods. Ranil's passion for nature runs deeper in that his life revolves around educating farmers, governments and policy-makers the dire need to save this planet from greedy entrepreneurs who would swear by pesticides and GM crops to enhance agricultural produce. I first met Ranil at his residence in Gregory's Road 17 years ago by mere chance to discuss his concept, analog forestry. Then over the next five years in between his frequent trips abroad to Ecuador, Venezuela, Africa, US and Australia on behalf of Counterpart and Rainforest Rescue International I managed to follow him to his various sites he earmarked for conservation. Ranil fore-saw organic farming before it became fashionable and shops sprang up in Colombo selling worm-ridden tomatoes and cabbages at five times the price of pesticide-treated vegetables and fruits. As recently as a few years ago in Harrow, UK, I met an English environmentalist by chance and Ranil's name cropped up. He said that everybody in the Green Movements across the world had heard of Dr Senanayake. Those whom he groomed to revive organic farming including foreigners used him as a step-ladder for their own benefits except some village loyals. He hosted many of them in his family home in Nuwara-eliya and many escaped with his vast collections of books and other memorabilia. One went on to start coffee business with another local opportunist and is now engaged in a thriving venture which has nothing to do with organic farming. Another, although an expert at handling snakes, cannot contain himself when it comes to liaising with foreigners and smuggling out endemic species of butterflies, frogs and snakes. Yet another early acquaintance runs a garment factory in Colombo which is quite the anti-thesis of organic farming. Bent on making the island the miracle of Asia, this government is heading seriously towards wiping out traditional agricultural practices in favour of fast-buck destructive land allocation for multi-nationals who arrive with feasibility studies and ship-loads of banned chemicals in the developing world. It is an uphill task for the likes Dr Senanayake who will forever remain thorns on its side.